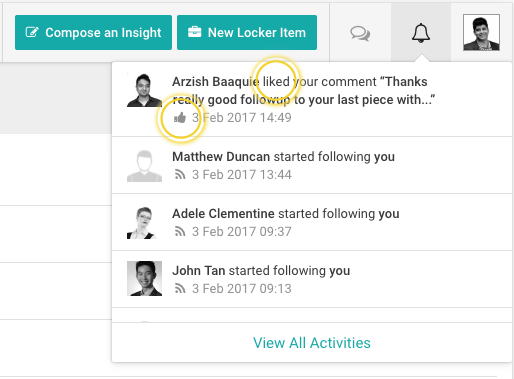 On Smartkarma, you can show your appreciation for an Insight by clicking the Thumbs Up button in the bottom right of the Reading Pane. This will provide valuable feedback to Insight Providers about the quality of their work. Over time, we plan to incorporate these and additional metrics into our calculation for measuring both the relative and overall appreciation and engagement of Insight Providers' work and providing metrics for you and your team's consumption of content. 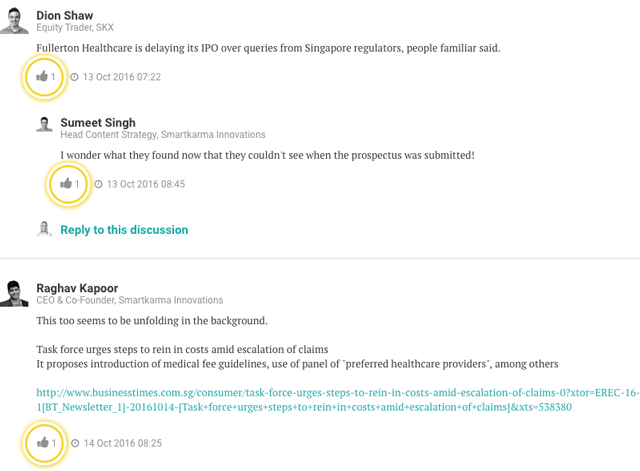 You can also like comments made in Discussions and Insight Providers can like feedback provided during Peer Review. Showing your appreciation is also beneficial since it allows you to keep track of other activity related to the Insight you have liked, through Activities.